The role of the CITB is to work with employers to encourage training, which helps to build a safe, professional and fully qualified workforce. The support and funding that CITB provide helps companies to improve skills, increase their competitiveness and respond to challenges such as the low carbon agenda, reducing costs on site and recruiting the best talent for their sector. CITB works with the industry and its clients to ensure the construction sector has the right skills, in the right place, at the right time. 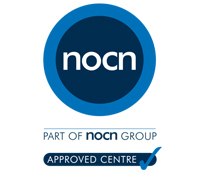 NOCN is a market-leading international Awarding Organisation (AO) and Government-approved End Point Assessment Organisation (EPAO) that has been creating opportunities’ for 30 years. NOCN Group includes NOCN, NOCN India Skills Foundation, CSkills Awards and One Awards. NOCN acquired Cskills Awards from the Construction Industry Training Board (CITB) in 2017 creating the UK’s second largest construction AO. The move has greatly reassured the market by guaranteeing its ability to meet the challenges ahead with increased and enhanced skills. 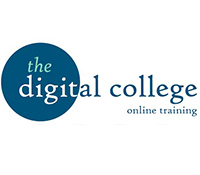 Established in 2011, The Digital College, designs, develops and delivers accredited and endorsed online training courses. Their website offers a quick, easy training solution to individual learners and the digital college platform offers organisations with a simple way to manage and fulfil the training needs of many staff. Many of their courses are recognised by Ofqual registered awarding bodies. Please refer to our Courses > Online Learning for a full list of available courses.